As we inch ever more towards the holiday season (how did that happen) I’m inspired to focus more this week on quality gifts that you can actually own for a lifetime. Ones that help preserve a craft, that give jobs to the community, that actually brings substance to a label instead of solely to be part of the crowd. As my cranky self gets older by the day, I find myself wanting less and seeking a hopefully healthier attitude when it comes to shopping, this means when buying for others and also in regards to my own general consumption as I try and aim for sustainable choices as much as possible. 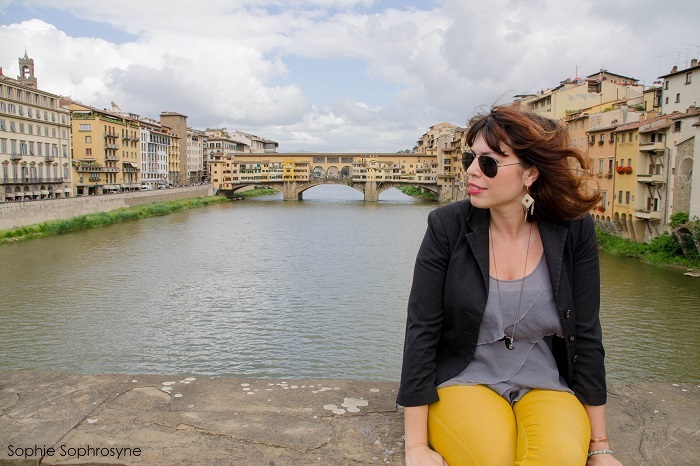 You’ve probably seen my post on the blog for tips on buying true and authentic leather items in the city. 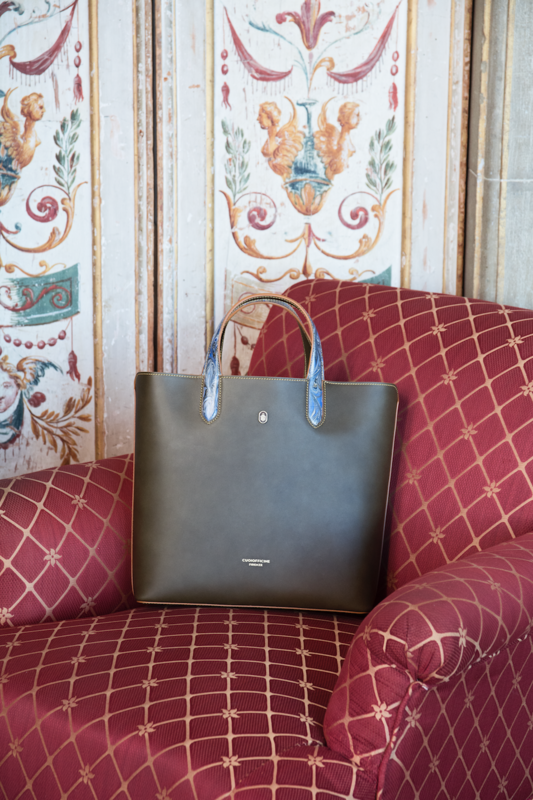 One such brand, Cuoifficine, offers a trademarked line of leather products that celebrate true Italian craftsmanship, utilizing centuries old traditional ways of processing leather with a unique and fresh creative design that has a decidedly Florentine edge. I’m talking about the art of paper marbling and a unique revised leather tattooing technique embossed on bags, wallets and various accessories. To go back to origins however, the technique of paper marbling originated in Asia, arriving in Turkey in the 15th century (marbled paper making was known as ebru, or the art of the clouds.) and later across Europe in the 17th century before taking a strong formative hold in cities like Florence, a city well known to have perfected the craft. To create the look, the craftsman carefully placed a sheet of paper on the surface of a specially prepared bath, on which the floating colors were previously placed and “combed” creating a beautiful effect that creates a one-of-a-kind design you often see on notebooks, pens, wrapping paper and much more. There has never been a souvenir I loved to buy for people more than a simple sheet of handmade carta marmorizzata. 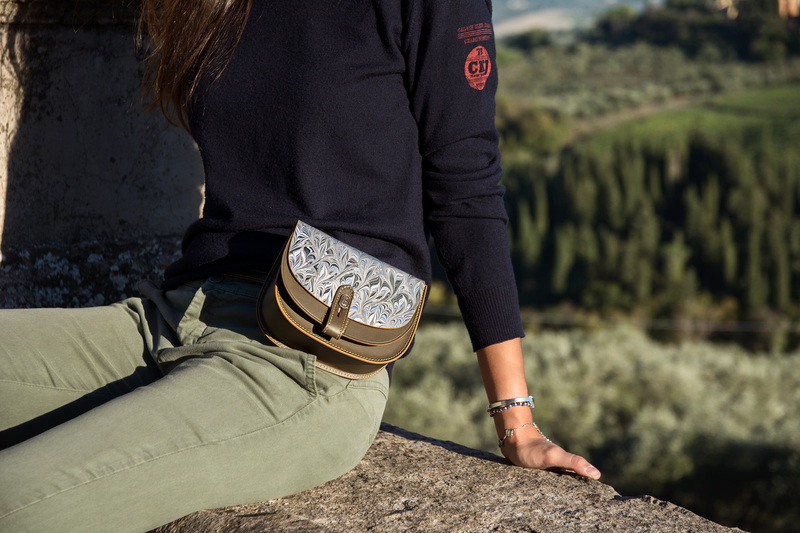 Cuoiofficine, in collaboration with the historical company “Il Papiro”, takes the basics of this marvelous technique, while developing them in order to create their own unique accessories. The leather is prepared with a base that allows for the adhesion of the inks and the maximum result of brightness. Whole hides are cut and worked by hand in the tanks where the color has already been placed and “combed”. After, the artisan proceeds to print the leathers by hand one by one via the fixative that is composed of four passages. This is then applied to the printed hides, so the color always remains perfect even in case of wear and tear or in contact with water. As fashion challenged as I consider myself to be, I am a firm believer in a great handbag, especially since my entire life lies messily inside one at most times. As a freelancer, I typically need two types of bags at all times; one larger tote/backpack to lug around my laptop and a smaller cross-body bag for everyday walks and evenings (I am not quite ready for a fannypack-bumbag-waste hugger quite yet – I can readily admit that this is due to being traumatized in the 90’s). Naturally in order to really appreciate any sort of investment purchase, you need to know what makes it special in regards to how the item is made. Luckily in Tuscany, this is something you not only can ask, but should ask, as true artisans love to share their craft and should be able to take you through the process of how the item is manufactured. “We’re more than just brothers, we’re actually best friends” Timothy says to me as his brother Tommaso looks carefully over a shelf display. Only three years separate them in age and they share with me that even before they would be in contact at least five times a day just to check up on another, the dream one day to find a way to work together. I have to admit that this sweet and telling statement makes me wish I was a tad closer to my own siblings, as I can’t imagine working side by side with either of my brothers without wanting to murder them both (sorry guys). Even more impressive is the fact that they can survive day-to-day business ups and downs in such a small space. The Cuoiofficine shop is about the size of a postage stamp—which would qualify as a large studio in the city of Florence, located on a busy stretch of Via Guicciardini connecting the oldest bridge in town, the Ponte Vecchio with the Medici’s last place of residence turned my favorite museum in the city, the Palazzo Pitti. Many people make their way up and down this small street to the Boboli gardens, their hotel or to my local square for a quick coffee or aperitivo as the day winds down. I’ve spent so much time walking down here for various reasons that I dare say I could navigate the street blindfolded. You’ll find everything here, cheap t-shirts, handmade gloves, crap gelato and expensive jackets, luckily Cuoiofficine’s discreet display of handbags and wallets is both understated and elegant, a far cry from the cheap and mass-produced items that often sully the Made-In-Italy brand that you’ll find in the markets. Timothy and Tommaso Sabatini are to me, the modern version of the quintessential Renaissance men, both visionaries and dreamers (Da Vinci would approve) and more than that also risk-takers in a place where risks can come at price. 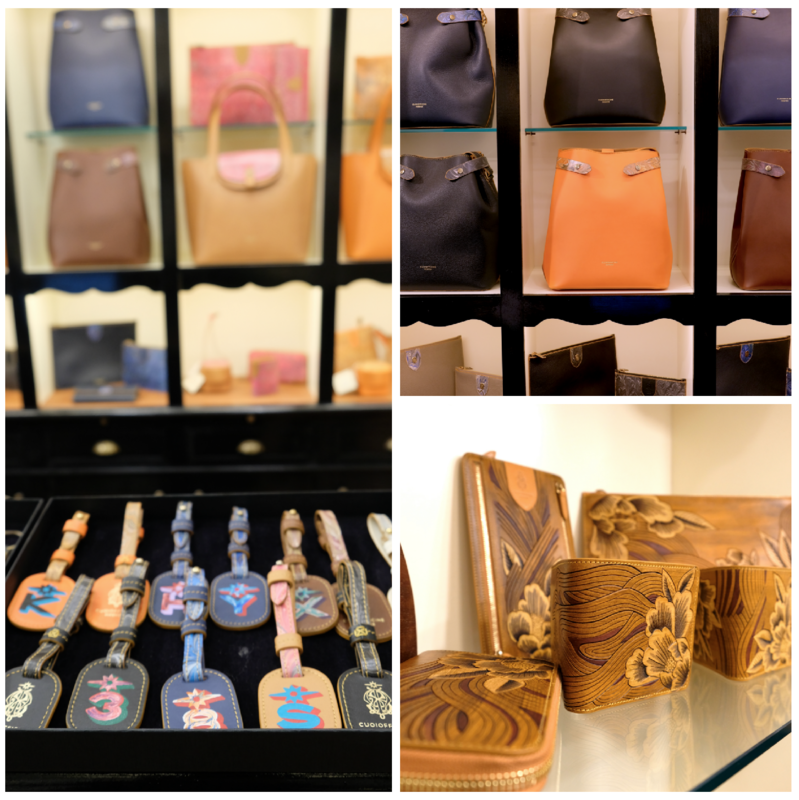 In realizing this shop, their bespoke leather accessories come with the cost of leaving two very lucrative and lengthy careers, Timothy in leather brands (he spent 21 years at Ferragamo), and Tommaso as a successful restauranteur. 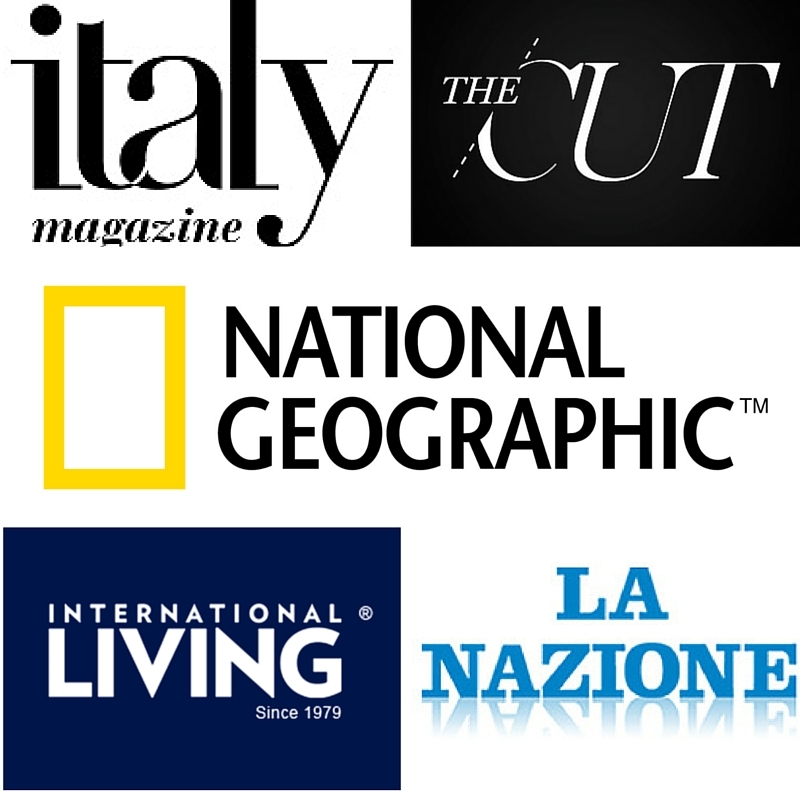 Each plays a crucial part in what I hope will be a massive success, Timothy the innovator, the dreamer, the designer and Tommaso the one who knows the numbers, how a business works – both key elements to create a dream come together. After a trip to New York, everything at Cuoiofficine came together in one year but only after years of painstaking research and trial and error (with the designs). “We wanted to be a shop that showed people a way to work, that this kind of one-of-a-kind craftsmanship is important and worth retaining in a world where fast throwaway fashion tends to dominate” Timothy tells me. And apparently, this is something that not only I can see is really special. 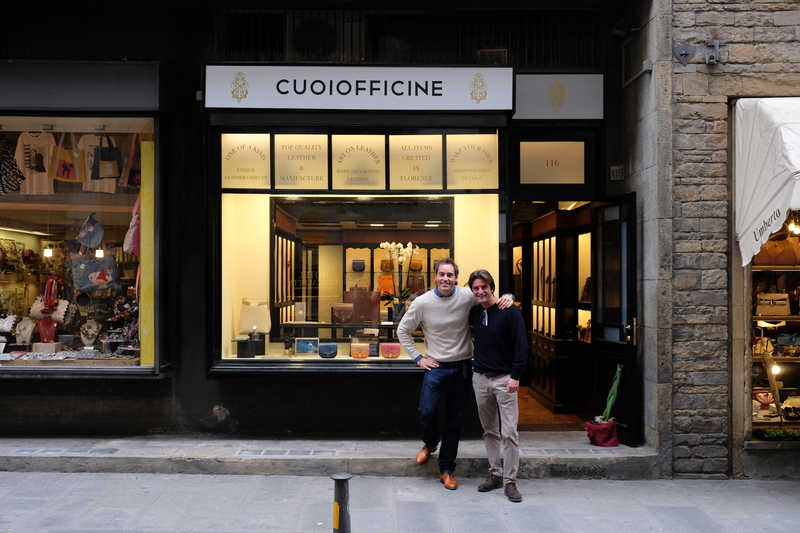 Within 15 days of opening the shop they already had people who would be interested in investing in the Cuoiofficine philosophy of quality and craftsmanship, but it was the brothers who weren’t ready or even expecting that kind of excitement so soon. 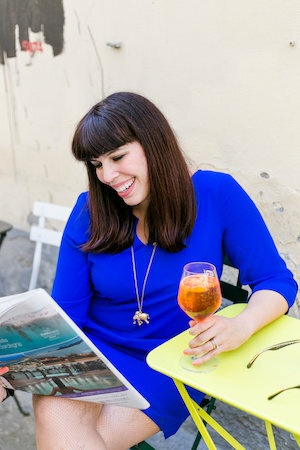 Thanks to my friend Elena of IoAmoFirenze, I was in love with all of their accessories upon first glance. 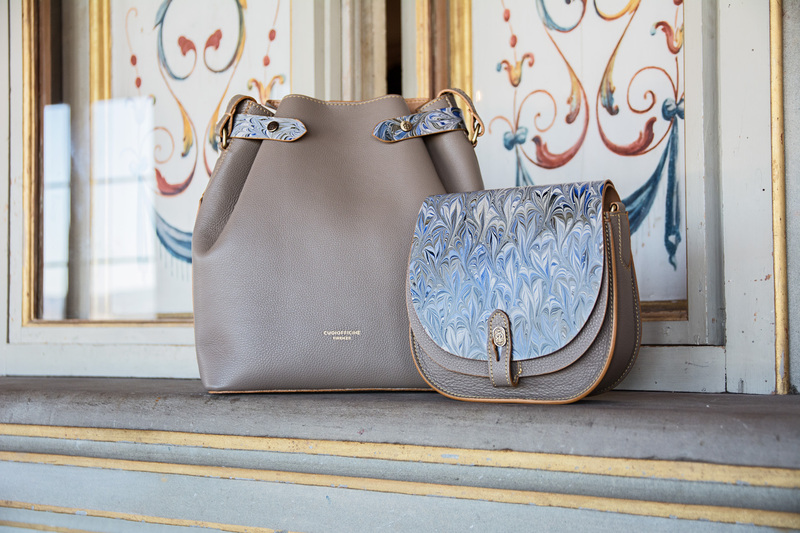 The classic lines of the handbags; two types of leather, one smooth, one showing the actual rawhide, all in a variety of lovely colors. 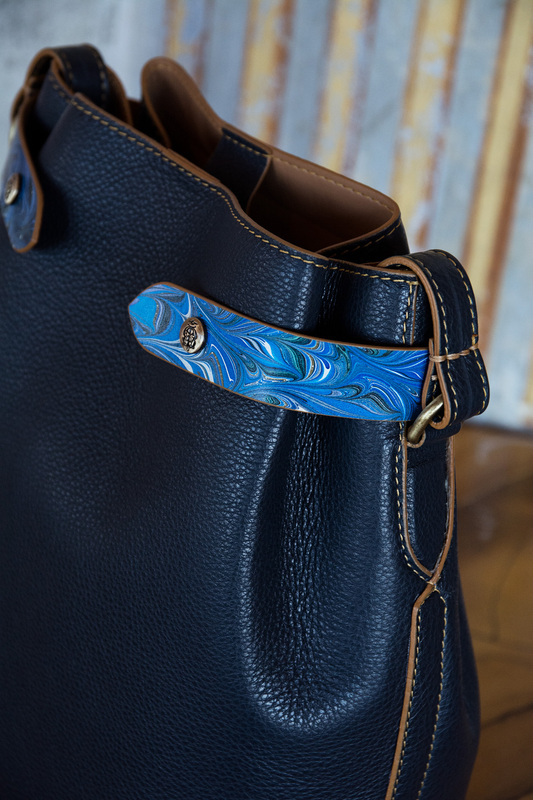 The marbling leather flaps really add that representative Florentine touch to each accessory and I love that you have the option to take it off or add the marbled flap, kind of like having two totally different bags in one. The joy is also surmounted by the extreme attention to detail, hand stitching and quality zippers, brass metal parts, external and internal metal zippers, the border color obtained with more than five steps are just some of the details that count. Also worth noting are the hidden-in-plain-site accessories such as a pop-out pouch that could be used as a clutch in its own right, and the scented leather pieces soaked in 500€ bespoke perfume that are meant to hold jewelry or keepsakes. I think I would spend my entire day just sniffing it though, the scent is a bewitching patchouli and would make for a great stocking stuffer. 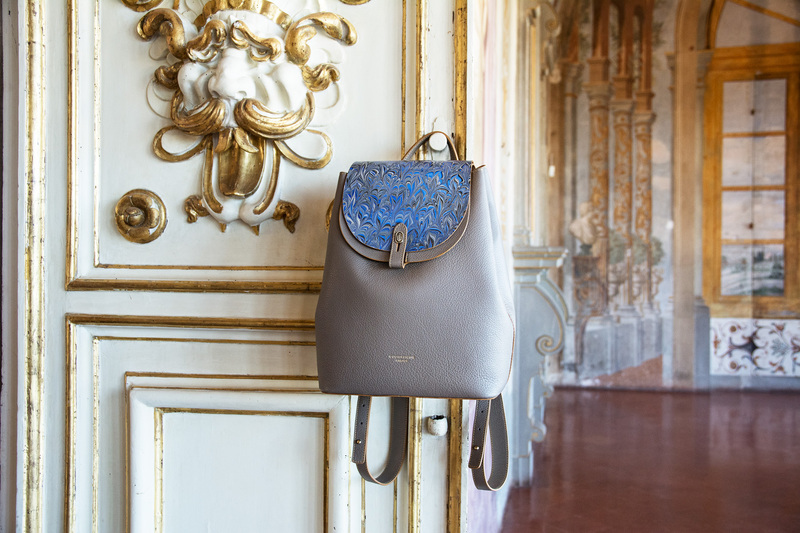 The brothers explain their new line of work with “Florence is our home and inspiration. 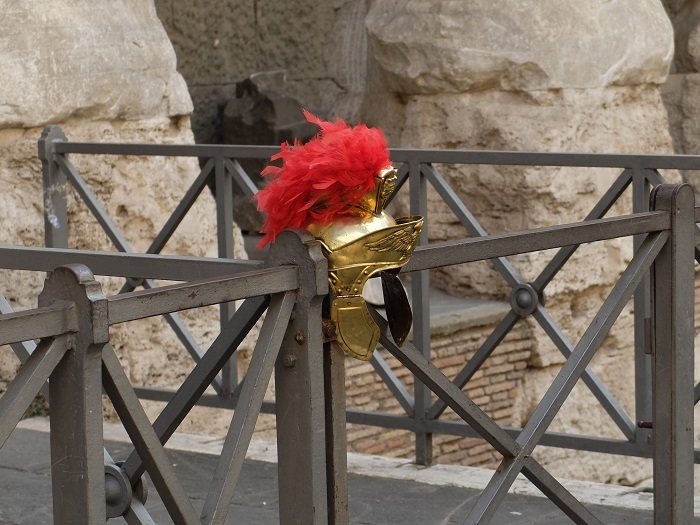 It’s a place where you can breathe in history, art and age-old emotions. Every day we are surrounded by stimuli that drive us to explore and experiment with the oldest leather decoration techniques to reinvent their application in the leather industry, pursuing a goal that’s as ambitious as it is realistic: applying art to leather”. The designs on each bag are not stamped as you see in many high-end shops and that’s something you often don’t find for the simple reason that nothing can truly be identical. 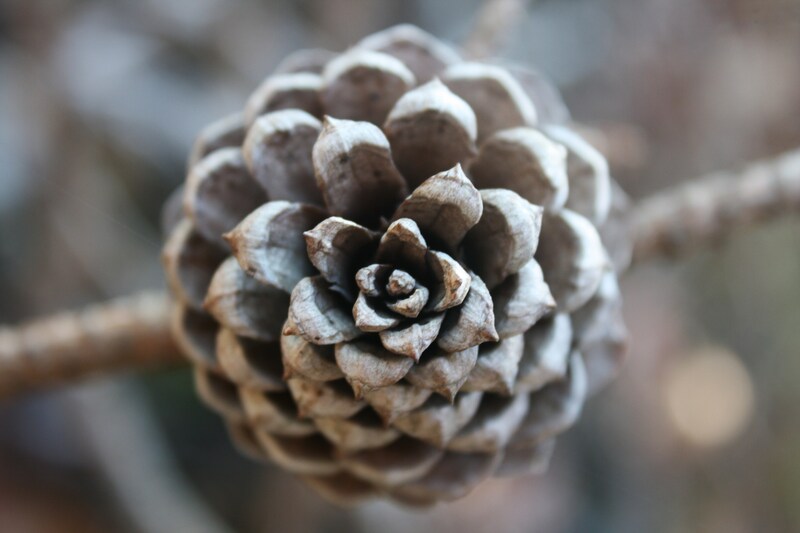 The designs that come out are similar, but if you look closely you can spot the tiny variations that makes each one unique. They have spared no expensive for each detail, even the buttons come at a high cost for the guys but this is what makes (my opinion) the complete difference. 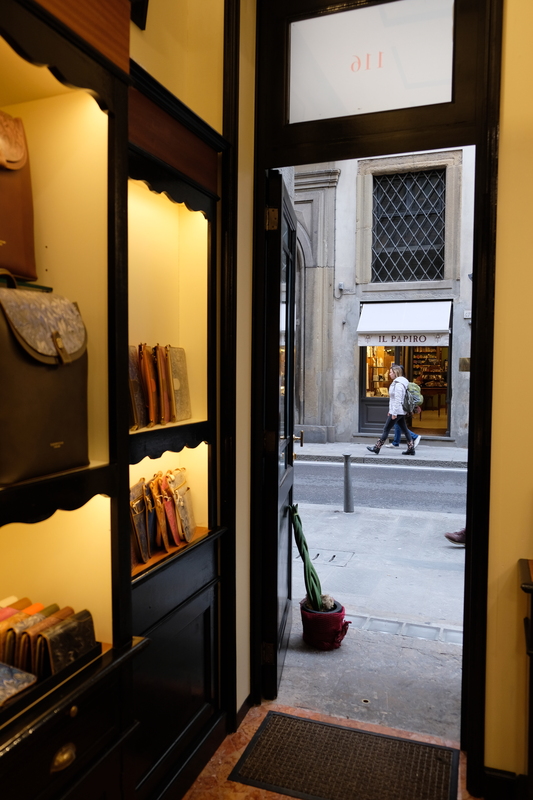 One thing to keep in mind is that you don’t come to a shop like this to bargain for a deal, you come to a place like this for an education in what artisanal excellence in regards to high end leather accessories actually means. I bristle at the stereotype people have that you can bargain in any shop, devaluing people’s livelihoods like some movie where the Italian is meant to be a furbo character not to be trusted. Let’s just say that we’ve come a long way folks. This is a place that encourages you to ask questions, to go over each hand-stitched detail and honestly you’ll make their day if you do! Prices start around 350€ and up depending on the size and accessories, I consider this extremely fair if you consider how much work goes into each and every piece and that fact the designs are timeless. 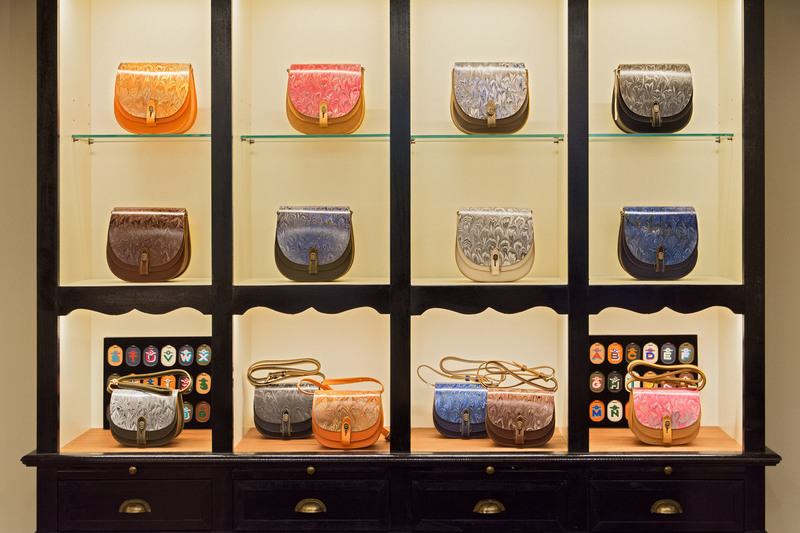 Also worth keeping in mind is that all of their products are both one-of-a-kind and made to order, that includes the color, style of the bag and marbled overlay flaps. You can also get any item monogrammed for an extra-special personal touch. What the future holds for them both? Who knows, I could see them bringing their shop to various cities around the world, London, New York, Tokyo, as people become more aware of what real craftsmanship truly is. From next month on, they will have a small workshop in the back of the shop to show people how their artisanal pieces are made. I just know that I am eternally grateful to have people like Timothy and Tommaso take a bold risk in our corner of the Oltrarno. 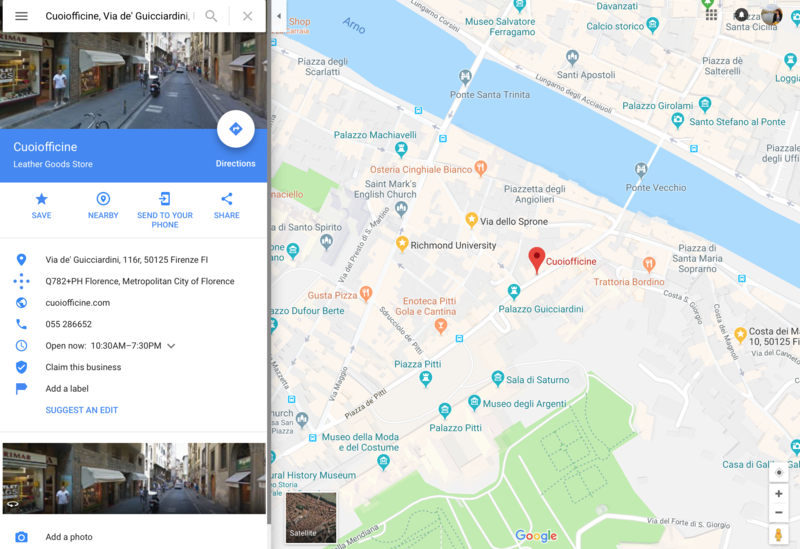 Like many people who call the center of Florence their home, I would dare say that we certainly have enough restaurants, cheap bars and places to eat. 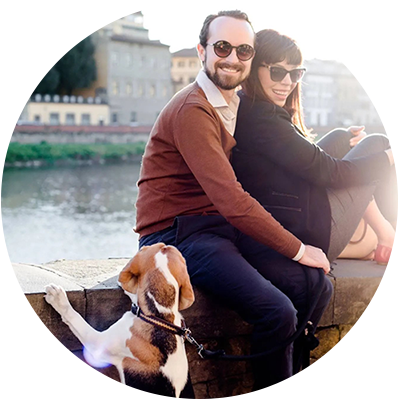 What we need is more people like them, keeping the Made in Tuscany artisanal dream alive and well respected into the next century. Disclaimer: This is a sponsored article but note that I never include anything on this blog that I don’t truly support or believe in. 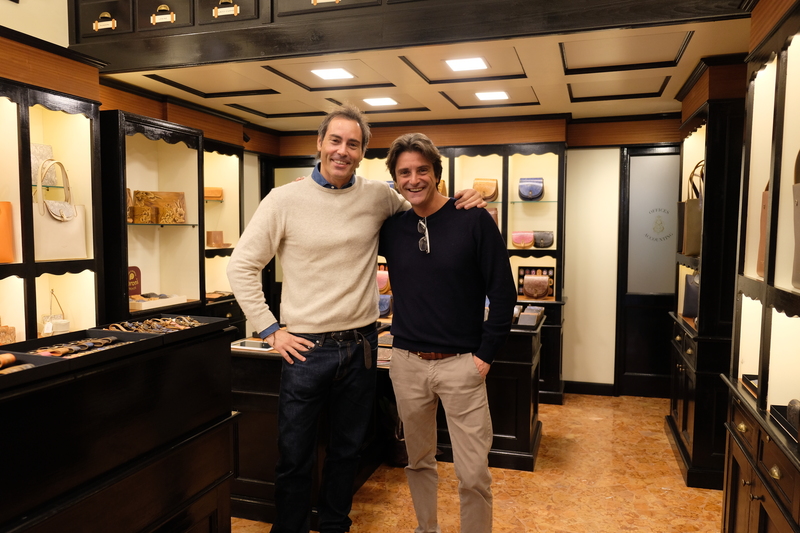 Timothy and Tommaso’s bespoke leather accessories are the real deal and I wish them all the best on this exciting new venture. 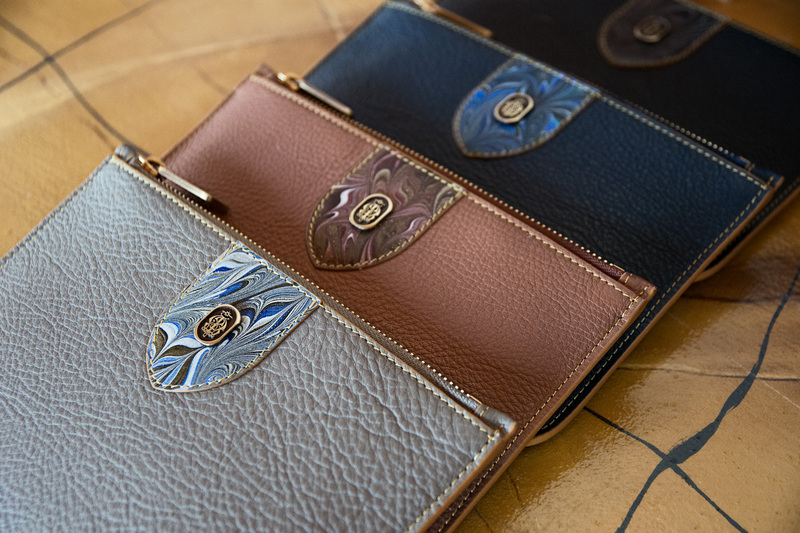 Just purchased a gorgeous wallet from Cuoiofficine this week! Beautiful, creative products.